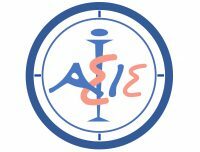 IASIS is a non-governmental, non-profit organization active in the field of Social Inclusion, Mental Health and De-institutionalization, which actively participates in the psychiatric reform promoted by the Ministry of Health and Social Solidarity and the European Union. IASIS has an official registration as Private Non-Profit Organization and a Special Registration in Voluntary Non-Governmental Organizations Lists handled by General Directorate of Welfare (09110AEN21094O32N-0798 and 09110AEN21094O32N-0721). IASIS NGO also has Management Competence System certified by the Special Service / Department of Health and Social Solidarity (No. 1483/13.06.18). Organization’s main objective is to provide psycho-social support and education to people who either belong to the range of or are at risk of exclusion, and to adult learners in the humanitarian field. The organization has also developed a strong network across Europe, through which dozens of Research & Educational Programs have been designed and implemented. Noteworthy also is the company’s Volunteer Network, which is constantly enriched with new people. IASIS has a significant experience in several EU projects (Erasmus+, Life Long Learning, EAA Grants, EFM etc. ), and its RnD department strongly supports tools and methodologies which belongs to “Digital World” for digital inclusion of disadvantaged target groups, inclusion of third country nationals in educational and social activities, cultural life, the volunteering sector, digital creation activities. Also it is important for our beneficiaries to improve their IT skills, language and soft skills through IT workshops.